Here’s what happens: I go away to Berlin and discover a desire for Vietnamese food. Thanks to a recommendation from someone we were staying with, I ate at a little restaurant called Waterlily where I had summer rolls and a delicious crispy (proper crispy) duck with a curry sauce. My previous experience of Vietnamese food had not been good – the words unidentifiable and gelatinous were fitting adjectives. It was grim. This though, was fresh and fragrant. Luckily for me there is an oriental supermarket a few minutes from home. 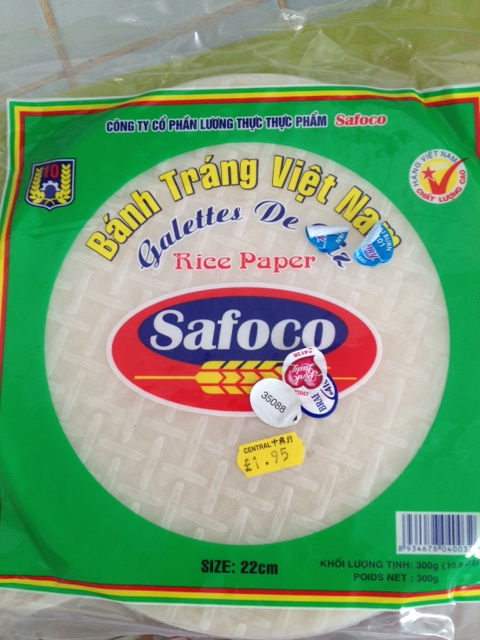 I got myself some rice paper wrappers, which I discovered expire in October which is a good reason to not let them sit in the kitchen gathering dust. Why can I never put apple stickers in the bin? Pork mince out of the freezer after holiday, I searched online for a recipe with a Vietnamese flavour, and found a recipe for bun cha. Apparantly, bun cha is Hanoi’s second most famous dish after pho. Another reason I may have steered clear of this sort of cuisine is that I can’t guarantee I’ll find the ingredients I need, even in the oriental supermarket. The frustration of having everything you need for dinner except one thing you can’t find is, well, very frustrating. If it’s Tesco Metro we’re talking about, I don’t tend get past ingredient number one which is usually something as simple as a red pepper. AVOID. This time, I was shocked to find the two most unlikely ingredients in that well-known bottom-slapping supermarket. Thai basil and garlic chives, both in the reduced section as well? Made my day. The other ingredients are easy to find in larger supermarkets. I have no photos of this dish. 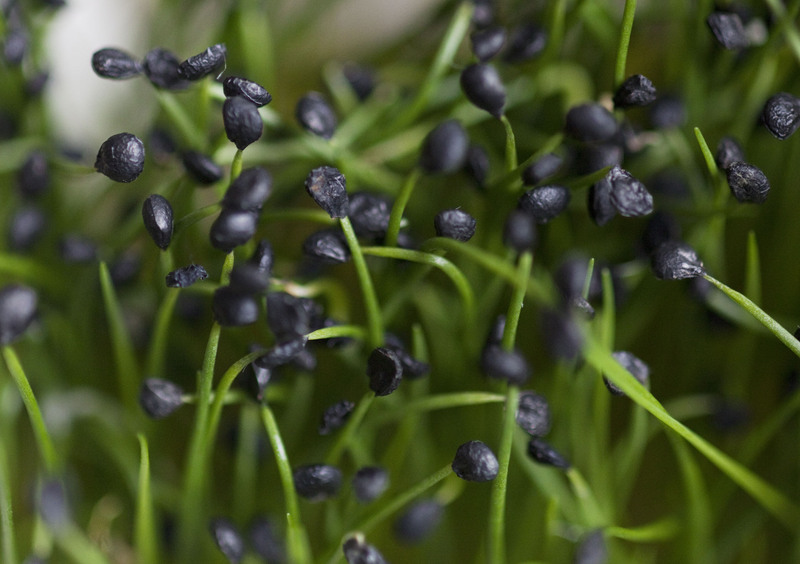 It was too tasty to stop eating and pick up a camera (and I’m a bit lazy) but I do have a little picture of the garlic chives. I got my proper camera out for the first time in over a year. In a mixing bowl, combine the pork mince, egg and half of the marinade ingredients and mix well. . Cover and marinate meat in the fridge for 2 hours, or overnight for a better result. Form the pork mixture into small balls with oiled hands, then slightly press down on each ball to form patties, about 5 cm (2 inches) in diameter and 1 cm (½ inch) thick. Heat a charcoal grill or barbecue (I used a frying pan) to medium-high and grill the patties for 4 minutes on each side. For the dipping sauce, add fish sauce, vinegar, sugar and water to a saucepan. Mix, then bring to the boil. Transfer to a dipping bowl and add chilli, garlic and lime juice. Place the noodles, herbs and patties on three separate platters. Transfer to 4-6 dipping bowls. Each guest should have their own dipping bowl, with all the ingredients in the middle of the table. Take a mixture of noodles, herbs and meat, and dip into the warm fish sauce with each mouthful. This entry was posted in Recipes and tagged Berlin, bun cha, fish sauce, fresh, garlic chives, herbs, pork mince, recipe, rice vermicelli noodles, soy sauce, summer rolls, tasty, thai basil, Vietnamese, Waterlily. Bookmark the permalink.